Nutritional supplements are one of the fastest growing industries on the planet. Sales at Science Nutrition, his chain of nutritional supplement stores, were growing fast. But there was a greater need for Joel at Science Nutrition: Create and manufacture your own line of nutritional supplements, with the best possible ingredients, and no proprietary blends. In 2011, he introduced NG Nutra to the market. He was in need of an online eCommerce store, to market and sell his products. If you're a regular consumer, or fitness know-it-all, you most likely know what products you should buy and why. I looked to solve this for the average consumer. 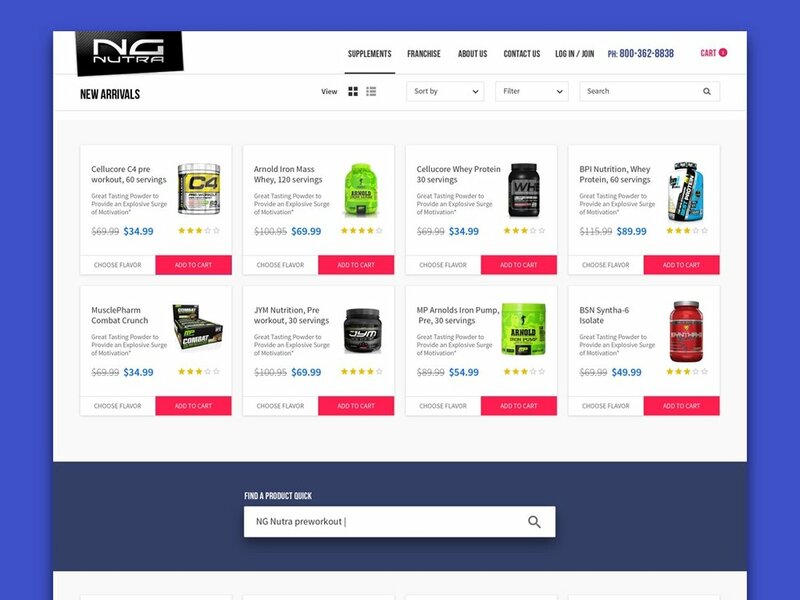 I'd created a complete supplement guide that helps consumers who don't know what to buy or where to start.